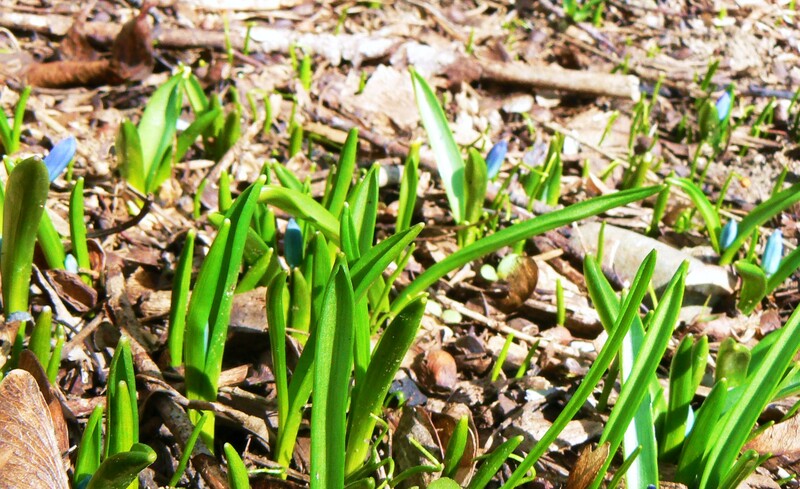 Spring is sprung; the grass is rizz…. I wonder where the flowers izz? Well, that’s the only flower I could find in my garden today, but it’s 73 degrees out, and soon, things will be busting out all over! I took a group of kindergarteners to collect maple sap from the trees, and the spout on the south side of the tree refused to give any. The north side was flowing slowly, enough for each kid to taste a drip. Buds are opening, and sap’s first priority is way over the heads of the little kids. Tomorrow, we plan to spend the day outside. We actually have job interviews at a living history museum called Old World Wisconsin. Their season starts in May, and their exhibits are 19th century homesteads featuring working farms, home crafts, and costumed interpreters (please pick me!). I would love to work and learn and get paid there! With Steve, too! But I can’t count my chickens before they’re hatched. In any event, it’ll be lovely visiting the site and camping out the rest of the day somewhere in this gorgeous weather. I think of all the tiny, tender green shoots pushing up through the dead leaf litter, and the words of a song pop into my head: “Up from the ashes grow the roses of success.” Now where did that come from? Oh, “Chitty Chitty Bang Bang”, the movie musical. Based on the book by Ian Fleming, no less. A corny video of a bunch of crackpot inventors is available, but I’m not going to include it. I do like to rejoice in the hopeful and positive example of nature. Life goes on. Death is part of it, but not the whole. Green sprouts are a lot more sturdy and virile than they look. All will be well. And maybe I’ll be re-employed soon! 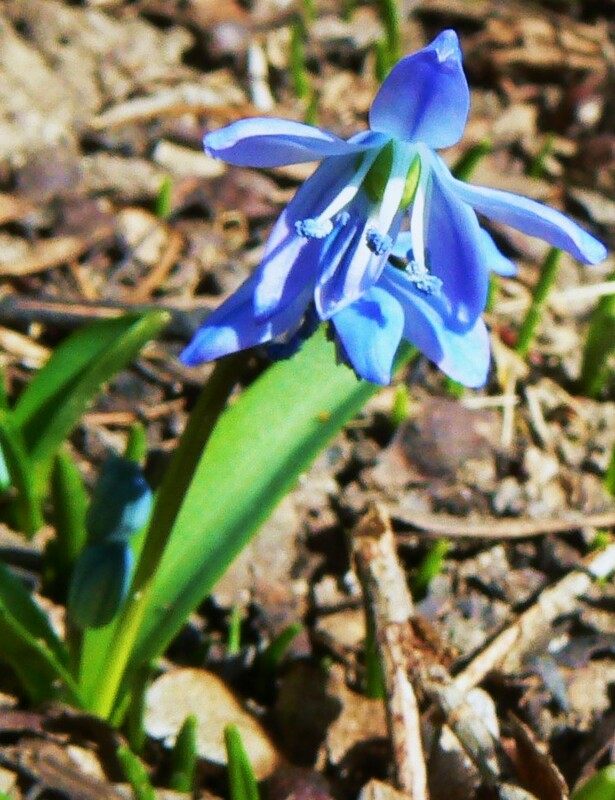 This entry was posted in Awareness, Nature, Philosophy, Photography and tagged hope, nature, photography, spring. Bookmark the permalink. I loved Old World Wisconsin! It’s a lovely place so I hope you are successful in getting a job there. Thanks so much! And thanks for leading me to your blog! Your garden photos are luxurious. One of the things I would really like to learn is how to garden. I would love to apprentice all the master gardeners at OWW…and all the crafters. I love your story about your mom happily creating and nurturing beauty her whole life long! Some people say we only have two: winter and road construction. I understand the road construction part. When I lived in Houston in the 1970s-1980s, roads were always under construction. The rumor was that Interstate 45 construction was started in 1945 and continued through to 1975. It was still being constructed last time I visited Houston in 2001. I will! Thanks for your good thoughts!